Grant Roberts, whose absence due to injury probably hurt the Mets more than most of us realized, finally healed up enough to join the team for the first time this year last night in Houston. Roberts, still wearing No. 36, meant back to the minors again for Joe DePastino 10. The Mets today called up promising minor league pitcher Pat Strange and issued him No. 38. Strange got the call as an emergency reliever in light of Steve Trachsel’s injury yesterday. Jae Wong Seo served the same purpose earlier this year, also wearing 38. Also: Grant Roberts 36 is back from the DL. 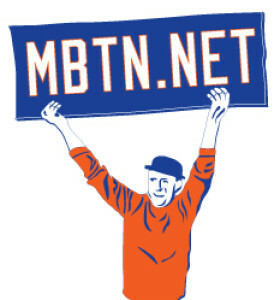 More movement in the Met bullpen was announced today when Grant Roberts 36 went back on the disabled list. Presumably rehabbed and ready, Mark Corey 27 was recalled from Norfolk. With Grant Roberts 36 returning from the disabled list, the Mets sent struggling reliever Satoru Komiyama 17 to Norfolk. Kiomiyama is expected to start in AAA. Grant Roberts 36, one of the few nice surprises of the 2002 season, went to the 15-day DL with a sore shoulder. Continuing to overlook the crying need for a right-handed pinch-hitter, the Mets instead recalled Mark Corey 27 to take his place. Grant Roberts today had a Major League debut to forget, coughing up 6 runs in just 1 1/3 innings before a well-deserved return to Norfolk. Roberts became the 18th No. 36 in team histrory, and the first since Greg McMichael last year. The good news: A no-decision to go along with a 40+ ERA.